Shared parenting can be done, and done well. When it comes to parenting arrangements for children after a divorce, it’s what’s best for the children that should be the driving motivation for any custody decisions that are made. What studies show is that most children benefit from shared parenting. Divorce is hard and having to negotiate parenting arrangements and a divorce settlement can be a challenge for even the most ‘amicable’ of splits. According to the Australian Bureau of Statistics, in Australia in 2015, divorces involving children represented 47.5% of all divorces granted. The number of children involved in divorces totaled 42,303. Children of divorce don’t choose to be children of divorce, but parents can choose to put the interests of their children first. Although shared parenting is not uncommon, this has not always been the case. Decades ago, in the late 70’s, the default arrangement was that children stayed with their mother and fathers didn’t get much of a look in. All too often, psychologists were seeing boys (in particular) who were suffering from what was called “father hunger”. More than 50 studies of joint physical custody later, we see the benefits of shared parenting. These studies have shown that children who spend at least 35 percent time with each parent, rather than live with one and visit the other, have better relationships with their fathers and mothers and do better academically, socially, and psychologically. They also get better grades; are less likely to smoke, get drunk, and use drugs; and are less susceptible to anxiety, depression, and stress-related illnesses. That’s a fairly strong endorsement for shared parenting and this even applies to smaller children that many assume are best left with mum for most of the time. First, shared parenting should be the norm not just for children whose parents live together, and not just for older children, but also for children of all ages whose parents live apart from each other. Children need a father, not an uncle-daddy. Second, if we want to give children the best chance for normal relationships with their fathers, limiting fathering time to daytime hours until children enter kindergarten is not the way to do that. 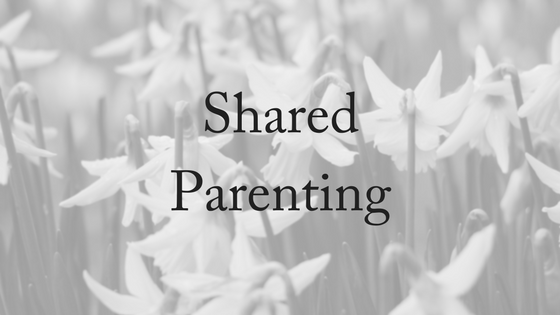 One version of shared parenting that encourages strong relationships and good time with both parents is called “nesting”. It’s a relatively new concept. Although it might not work for everyone it has been shown to be particularly helpful for younger children as they adjust to Mummy and Daddy no longer living in the same house together and all of the relational and practical negotiations that go with that. Tracey Moloney, the Head of Family Law at Co-op Legal Services in the UK, says “What we’re starting to see is a new custody arrangement emerging where instead of disrupting the children’s home life, the parents do the moving.” According to their research, 11% of divorced couples with children have not opted for the usual parenting arrangements but have opted for bird’s nest custody. Daria and David are a divorced couple who decided that they wanted their children to have as little disruption to their lives as possible because of their changed relationship. Daria explained, “We wanted stability for our children in a difficult time. We didn’t want the children to have to constantly pack themselves up. As it was our decision to divorce we felt that we should take the brunt of the moving about”. David added that financially they didn’t have enough money to keep their home and buy a second one which would be suitable for the children, sustaining one household and a small apartment was a lot cheaper. Eventually, when David found a new partner, they moved to the more common arrangement of the children moving between homes. But by then the children were much more settled and Daria and David were both in agreement that although the nesting period was limited and hard, they feel that it has greatly benefitted their children as it provided them with a haven at a time of great uncertainty and change in their lives. 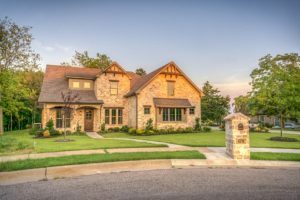 Daria added that she felt that having been through the frustrations of moving between two homes, she now understood the challenges of moving between homes. “Parents should walk in their kids’ shoes,” said Joseph S. Mattina a previous New York State Supreme Court justice, who once ordered nesting, with the consent of both parents, because he thought it was important for parents to understand the dislocation that kids often go through in divorce. 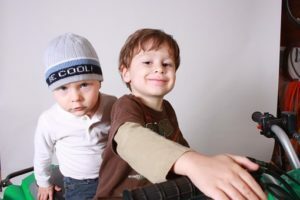 At Divorce Lawyers Brisbane we believe that the children’s interests should lie at the heart of parenting arrangements. Our family lawyers assist our clients to finalise the living arrangements for their children, focusing always on what’s best for the children. We recognise the importance of children maintaining a relationship with both parents after a separation occurs, and we have the expertise to assist parents in reaching agreement that reflects this. If you would like to talk to one of our family lawyers we offer a FREE, 10-minute phone consultation. Please contact us today!